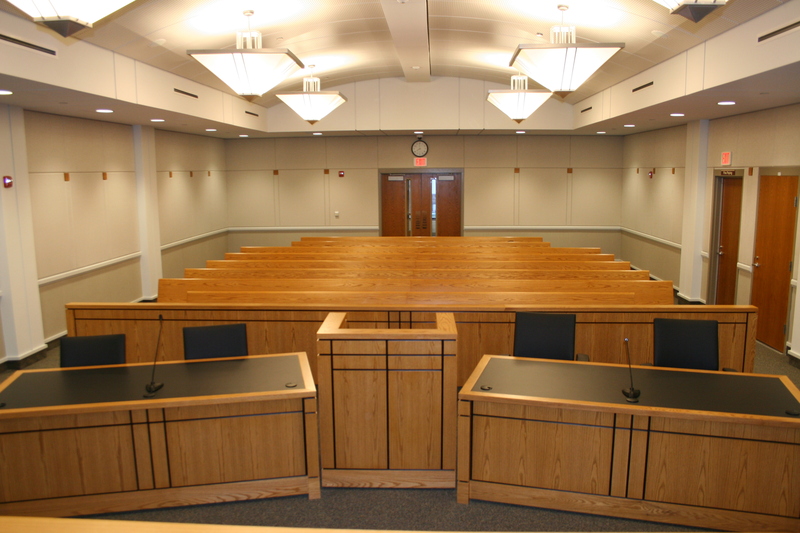 How did we construct a new courtroom in less than six months? The Prince William County (PWC) courthouse, located in Manassas, Virginia, is a secure, three-story brick building with many courtrooms on each floor. Adjoining the courthouse is the Adult Detention Center (ADC), which houses individuals awaiting trial or serving sentences. 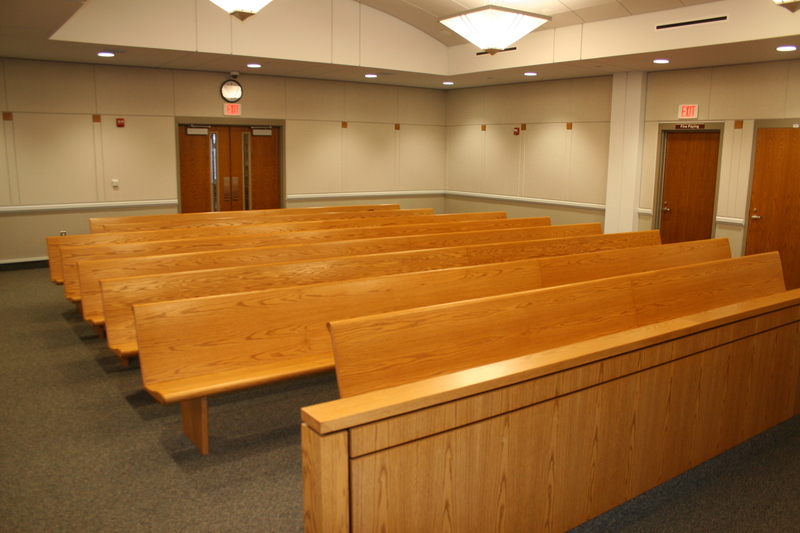 Due to the increasing need for courtroom facilities, these two structures were in need of an expansion, including an additional courtroom on the 2nd floor of the building. When the courthouse was originally constructed, five courtrooms were built with space reserved for a sixth. This space was used for other office needs until 2017. FHP Tectonics was awarded a cooperative Job Order Contract with Arlington County that is available for other public entities to use, including counties, municipalities, and school districts. Through this unit price contract, which was competitively bid, Prince William County contracted FHP to demolish the existing office and construct a 6th courtroom on the 2nd floor of the PWC Courthouse. Using this Job Order Contract allowed Prince William County to quickly access construction services which saved valuable time and resources typically spent on procurement. We were able to meet the accelerated schedule, completing the project in just five months including all interior finishes and custom arched metal ceiling and custom millwork. During construction, the courthouse remained fully operational with civil and criminal trials being conducted Monday through Friday. FHP’s team worked at night between the hours of 5:00PM and 1:00AM, Sunday through Thursday, to better accommodate our client’s needs and minimize disruptions to County and Courthouse staff. Additional coordination with security forces was required to schedule off duty law enforcement officers as escorts for each night that construction activities were planned. FHP has a long history with Job Order Contracting that started in 1985 and has since perfected this delivery method. If you are interested in learning more about JOC and using a Paschen cooperative contract, contact an FHP team member contact an F.H. Paschen team member.